CASA ANDANTE — Casa & Co. Your retreat from the city. Casa Andante, as the names suggests is a place of tranquility where life takes on a slower pace. 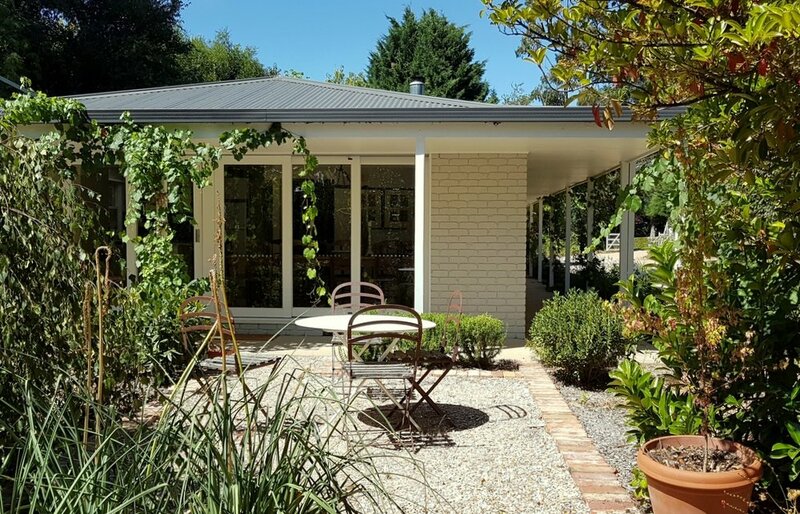 Casa Andante sits on 4000sqm of beautiful gardens which makes you feel as though you are away from it all, even though you are right in the heart of Trentham. Casa Andante is the perfect escape for 10 people ( up to 20 people if rented in conjunction with Casa Allegra next door). 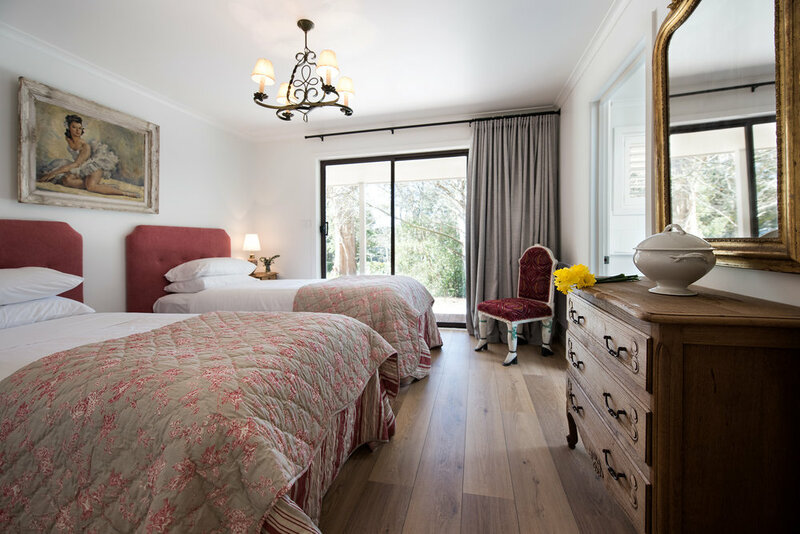 The property has five stylishly appointed bedrooms with super comfy beds and beautiful linen. 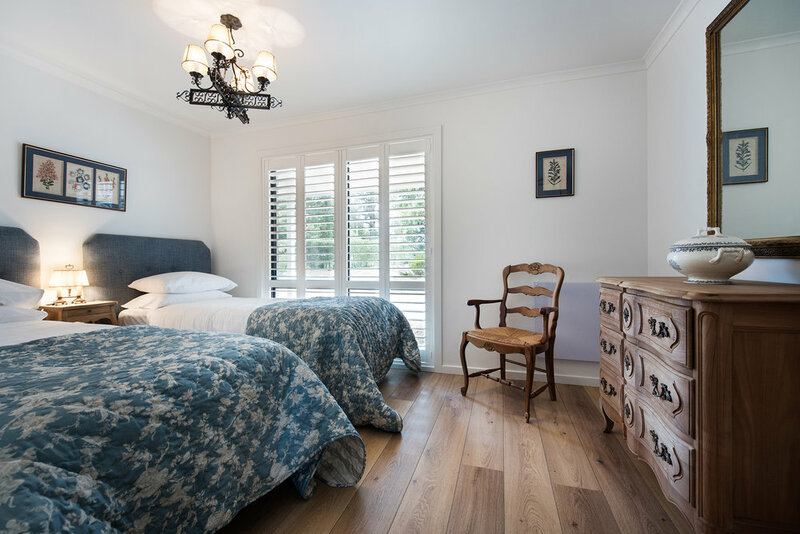 Each room can be configured with a King sized bed or two long singles. All bedrooms have ensuites. 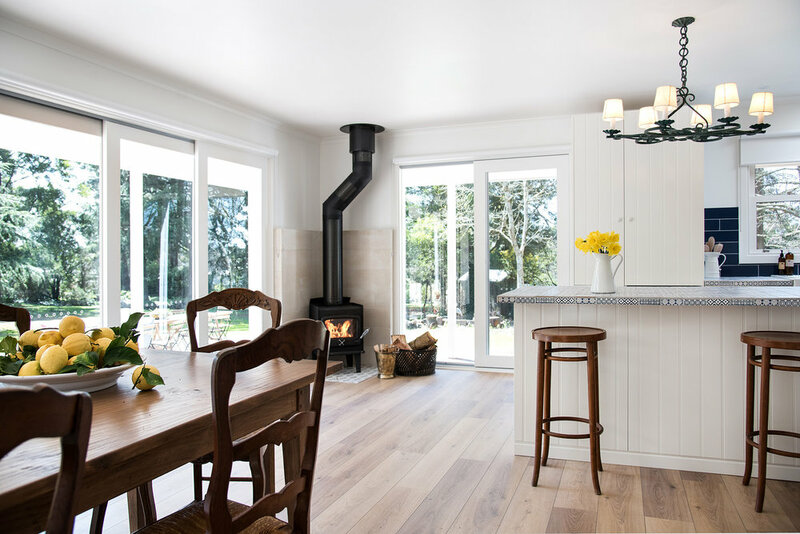 Casa Andante is a light filled, elegant yet relaxed and comfortable spacious home. The outlook and position of this magnificent home makes it a perfect property for all seasons. 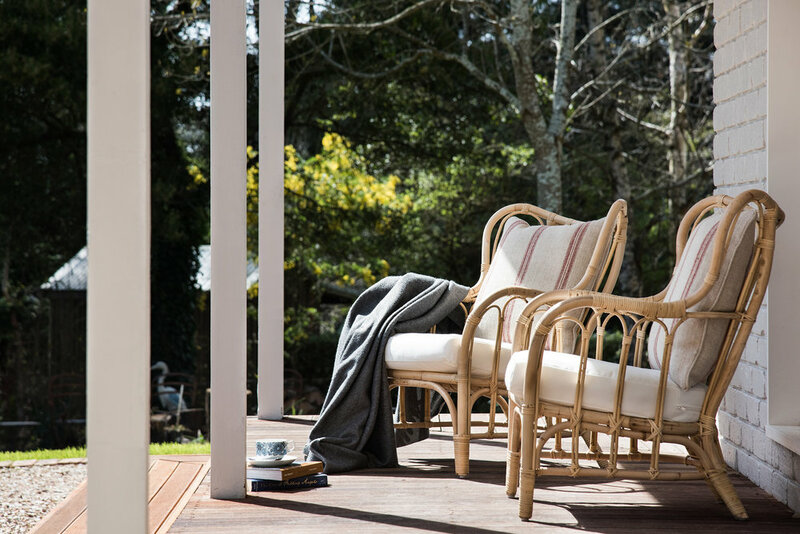 In Summer you can enjoy al fresco dining in the garden, a picnic in the spacious gardens, croquet on the lawns, or find a quiet place to read a book. At night enjoy the starry skies sitting around the fire pit in the garden. In winter, curl up in front of the fire in the cosy living room on comfy sofas. Reverse cycle air conditioning and heating, panel heaters in bedrooms, bathroom heating, heated towel rails, hairdryers, two wood fires, full kitchen (oven, cook-top, microwave, dishwasher, kettle, toaster, tea, coffee, utensils), BBQ, outdoor dining and seating, washing machine and dryer, iron and ironing board, games, books, DVDs, TVs, all linen provided, outdoor deck areas, parking, children welcome. Sorry, no pets. Take a break from the hustle & bustle.